It is known that 3G Proxy is not only growing on number of covered GEOs and mobile carriers, but also on product features. That wouldn’t be possible without a dedicated and great team. Therefore, we also regularly add skilled new employees to our team. This month, we’re happy to welcome two new software developers as well as three new interns. 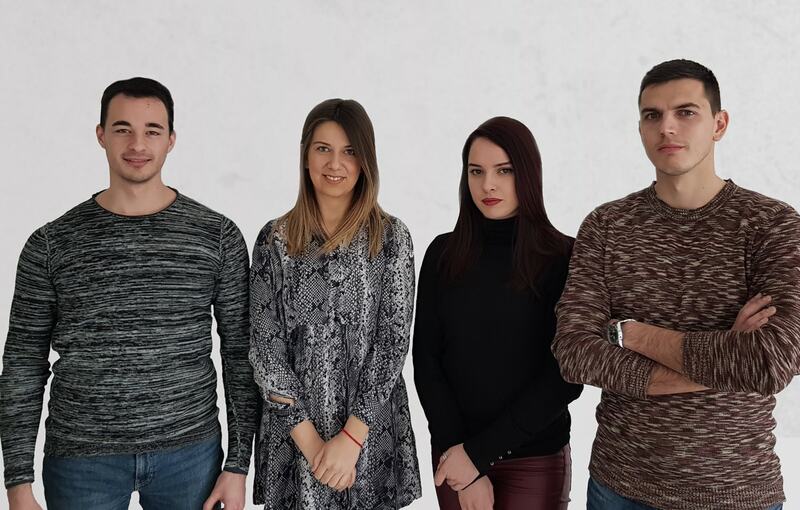 In this short article we would like to introduce them. Let’s start with our new full-time developers are Mirza and Stefan. Mirza achieved a Bachelor degree in Electronics, Telecommunications and Computer Science. He is interested in Startups and wants to help to improve our 3G Proxy product and the user experience. Stefan holds a Bachelor degree in Applied Computing. At 3G Proxy he expects to use his experience from previous projects and also to learn new technologies. He wants to expand his knowledge as a programmer. We also employ interns to identify possible new future employees and to teach them technological skills, that are needed in companies. Our new interns Nemanja, Ana and Olja are eager to learn and already have first experiences in their dedicated fields. Ana has a Bachelor degree in Computer Science. She is currently a 4th year student in this field. In the next months of her internship she wants to expand her knowledge of .Net developing and to improve her programming skills. Nemanja studied Electronics, Telecommunications and Computer Science. He holds a Bachelor degree in this field and currently he continues to study Computer Science as a 4th year student. He expects to improve developing his skills at 3G Proxy and to adjust to new technologies. Olja holds a Bachelor degree in Applied Management Studies and will support 3G Proxy in the fields of Marketing & Sales. She is very motivated and wants to learn how to market and how to sell tech products to business customers. We’re very happy to have them all on board and are looking forward to work with our new colleagues. In case you know somebody who could suit to our team, as well (maybe it could be you yourself, dear reader), please give us a shout.